In case you have been rained on when trying to jumpstart your car, you might have a good idea of what it means to jump the car in the rain. 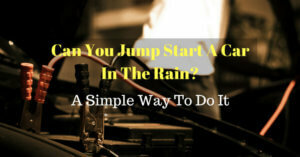 However, the question remains: can you jumpstart a car in the rain? 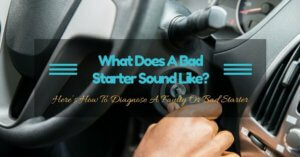 There are instances that you will not avoid when it comes to jumpstarting your car. Hence, it will be essential to understand the post. As an adage puts it, better cure than prevention, so it will be safe to jumpstart the vehicle in the rain, when there is no option out. However, you will have to take into considerations various precautions so as to avoid injury. So be careful that in case the situation forces, consider the weather and if it is rain on a bright sunny day, then just go on and do it. I am confident you might be cautious about electrocution but remember the situation might force you to jump the vehicle under a rainy season, so much time will be needed as you must avoid any anticipated risks. 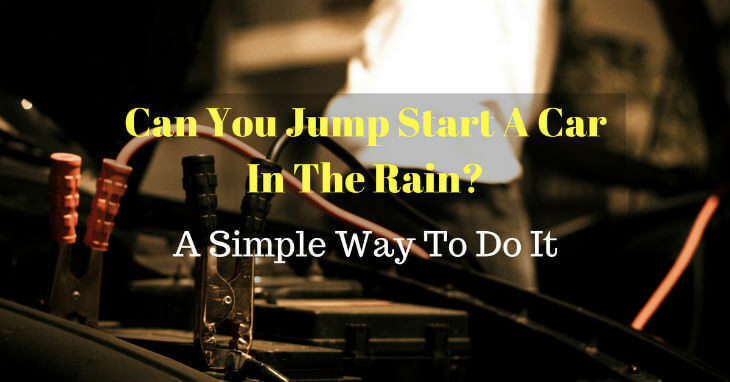 Can You Jump Start A Car In The Rain? 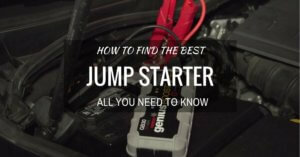 Is It Safe To Jumpstart A Car In The Rain? So, as long as the cables are in proper insulation, then jump-starting the car in the rain does not become such terrible or dangerous. But exposing the battery to the rain or any other form of moisture will cause it to corrode and hence reducing the battery’s life as well. 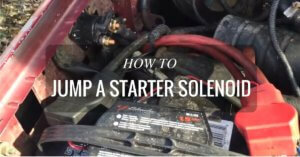 Therefore, in case there are some bluish-white ‘things’ accumulating around the battery’s terminals because of exposure to water and moisture, then it will be essential to clean them thoroughly because if you don’t, there might be faulty connections. Once convinced that there are times that you will have to jump the vehicle in the rain, it would be much expedient to give you some tips and steps on how to perform this process correctly, safely and efficiently. Let’s start off! Imagine a condition that the wind is blowing that hard and also raining; then you find that your battery is very low to initiate the car. This sunk and helpless experience might help you to consider some helpful tips so that next time you will know how to deal with the situation. Get out the jumper cables so that you start the process. In case you never carried one, it might be doom this day. I hope you have one. 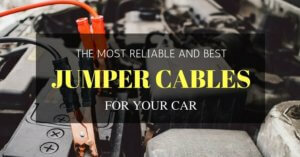 Read more about a complete guide on how to use jumper cables the right way. Have a better knowledge where the cells are located. I hope yours are under the hood. In case they are under the hood, then which sides they are located, is it the driver or the passenger’s side? Once you establish this, reach the batteries with the jumper cables. Remember it is raining so be cautious with exposing the batteries to the rain. 3. What Of Your Personal Safety? There are fraught situations where you stand between two cars packed facing each other. 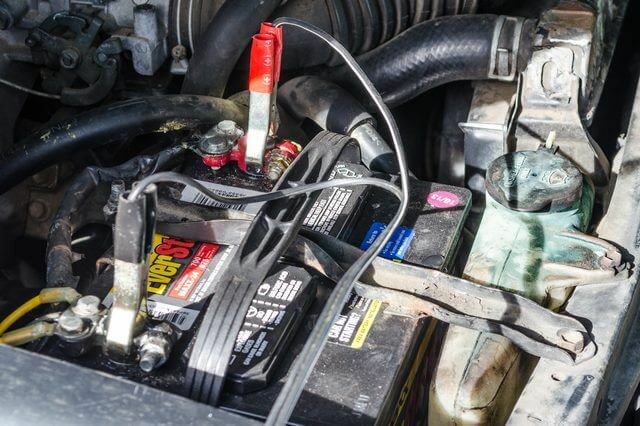 So make sure that the vehicles are packed correctly, with their batteries close together and again make sure the engines are off before any unexpected disaster. Connect the red clamp to the positive terminal and prevent many raindrops from pouring on your hands as you connect. Once you are done with the red, the go to the black to the negative terminal. You will notice that the batteries are well connected to the right terminals, especially if you have some little physics or skills on circuits and electricity. As you still keep cautious of the rain, move to the next worrying step. You will also know that the cables were correctly connected when you start the car. In case, it won't start, then try adjusting the cables until a connection is made. Try to start it again. In case it fails again, you will have to ask the ‘guardian angel’ to start his or her car and leave it running for something like three to five minutes. 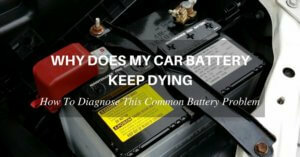 In case your vehicle still does not start, then it might be a battery problem. This situation might be uninteresting because I am sure the rain will not understand the situation. However, in case it starts, excellent, and we can move on. Just leave the car running. Now you can disconnect the wires but in reverse order. Start with the black clamp on your vehicle. Next, the black clamp on the guardian angel’s car. Next, red clamp from your car, and finally the red clamp on his or her vehicle. You are done with the process. But wait! What of if the battery had a problem and you have to charge it under this weather? 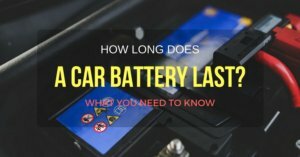 In case it is still raining, the car battery cannot work totally, you have to charge it please, but only if you had a battery charger. What Might You Need Again? 1. First, have the two vehicles on the side of the road and let them face each other so that the jumper cables become useful. But in case one of the vehicles has a rear-mounted engine, it might not be possible. 2. 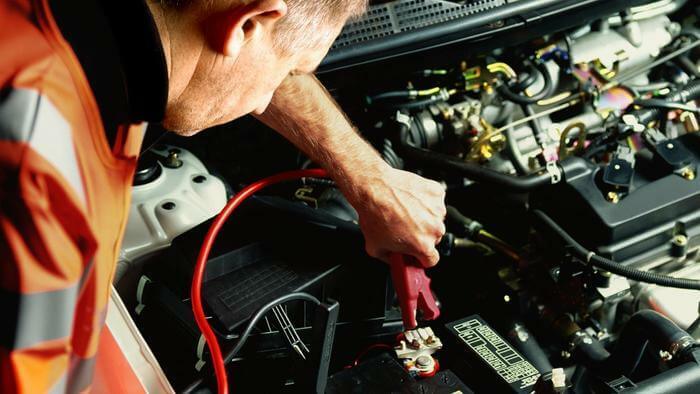 Turn all the electrical systems of the vehicles off before you attempt opening the hood. 3. Cover the hood with the tarp or any covering you have. It will keep off the rain drops and you from conducting electricity. 4. Open the hood and connect the cables, just the same way you would have done in the recent situation. 5. Flip the switch of the battery charger and for 20 minutes allow the charging process to happen. Once the charging is done, then go back and try turning the engine again. Once you are successful, then speed off with the rain. You are at home! Jumping a car in the rain might not be dangerous, but if the battery is frozen, then explosion might erupt. 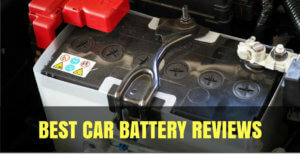 So ensure your battery is not frozen, inspect for the ice in the cells.The leaking battery also leads to an explosion. 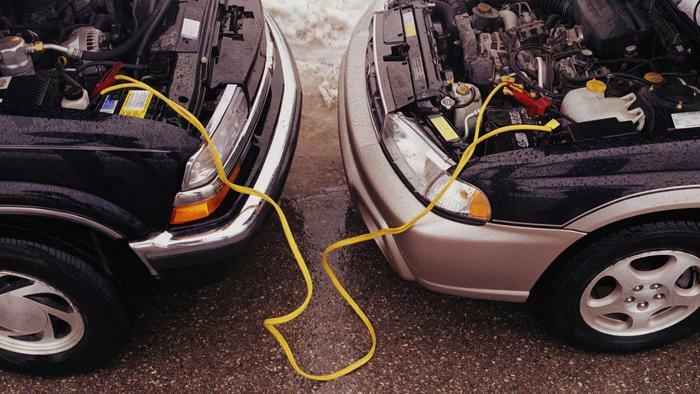 Lastly, it will be deadly to attach the jumper cables on vehicles that are not compatibles. Connecting vehicles with 12-volt and 6-volt cables might be damaging to the electrical systems. If doing the jump-starting, please put on some gloves and safety goggles in case you can afford them at that time – and remember it is still raining. This protection might prevent you from any possible explosion and the battery acid burns. Otherwise, success as you do this next time. Once everything is set, you are free to set off. 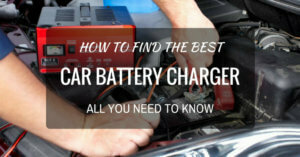 If not check your battery again and charge it if possible. So when you decide to charge, you will have to wait for a while before you connect the clamps again. Try the process and it will work for you. 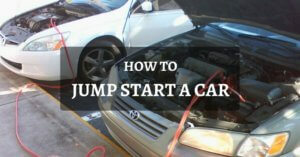 So jumpstarting a car in a rain is safe, only if you follow these safe steps. All the best as you try it out one day.